Ralph will be, once again, in Russia ministering apostolically. This first trip of the new year will see him in the eastern part of the nation for the first part of the trip and then in the capital on his way back home. He leaves on the 16th of January and returns on the 4th of February. While in Russia he will be working in three cities and a number of churches. His first stop is the eastern city of Yekenterinburg (picture). Here he will be working with “Big City Church” for a week. Then he will be the city of Chelyabinsk also in the Central Asian part of Russia. This will be his first visit to this city and local church. His final stop will be in the city of Moscow working with a tremendous Armenian church that he has ministered in a number of times in years past. This is a dynamic church ministering to Armenian nationals working and living in the city. Your support – both prayers and financial – for this apostolic trip would be greatly appreciated. 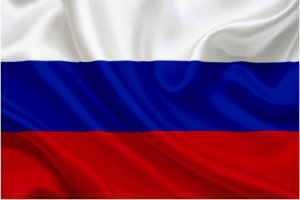 The Russian nation – first apostolic trip of 2019 – January 16th to the 4th of February, 2019. Ralph Howe Ministries is run completely from donations. Expenses such as airplane travel, web design and management and visa documents come out of these givings. Your donations also help to support many young families as men and women all over the world obey God’s command to reach the nations with the gospel! If you would like to give to Ralph Howe Ministries, simply click the Donate button on the right of the home screen.